October 14, 2010. 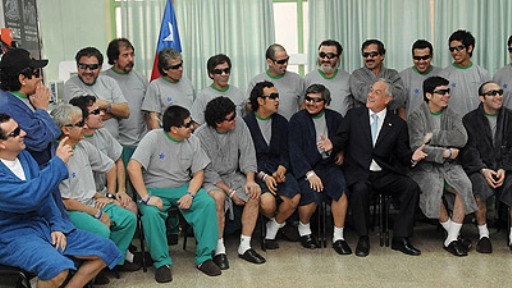 COPIAPO, Chile (KATAKAMI / MSNBC.COM) — The first three miners left the hospital late Thursday night as all now known as “los 33” began their unfamiliar new lives as national heroes. Chilean TV showed miner Edison Pena, plucked 12th from the cavern where they were trapped for more than two months a half mile underground, getting out of the hospital in Copiapo first. All three miners, still wearing their shades, piled into an SUV bound for home, smiling and waving. “I didn’t think I’d make it back, so this reception really blows my mind,” said Pena, 34, as waiting neighbors showered him with confetti. Triathlete Pena ran 6 miles a day down in the mine tunnel in the days after the collapse to cope with the stress. “We really had a bad time,” he added, before ducking into his home and closing the front door. All the miners got tastes of what awaits: swarms of reporters, TV producers, publicity agents and even soccer teams all desperate for a piece of their story. 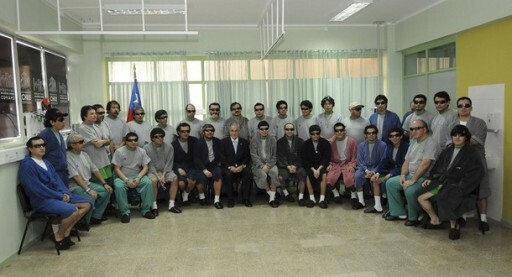 The men posed in hospital bathrobes for a group photo with President Sebastian Pinera. Unity helped the men for 69 days underground, including more than two weeks when no one knew whether they were alive. But the moment they walk out the hospital doors, they’ll go beyond the reach of a government operation that has cared for, fed and protected them in a carefully coordinated campaign to ensure each of them would leave in top condition. “Now they’re going to have to find their equilibrium and take care of themselves,” the hospital chaplain, the Rev. Luis Lopez, told The Associated Press. They got quite the preview Thursday of what lies ahead. On their first full day of fresh air, the miners were probably the 33 most in-demand people on the planet. A Greek mining company wants to bring them to the sunny Aegean islands, competing with rainy Chiloe in the country’s southern archipelago, whose tourism bureau wants them to stay for a week. Soccer teams in Madrid, Manchester and Buenos Aires want them in their stadiums. Bolivia’s president wants them at his palace. TV host Don Francisco wants them all on his popular “Sabado Gigante” show in Miami. Hearing that miner Edison Pena jogged regularly in the tunnels below the collapsed rock, the New York City marathon invited him to participate in next month’s race. What about a reality show? Some other kind of TV work? Why not, said television writer-producer and Oscar nominee Lionel Chetwynd, who said he expected projects were being pitched around Hollywood within hours of the rescue. Doctors said the other miners would get out of the hopital Friday and over the weekend. Their families and friends were organizing welcome-home dinners, street celebrations and even weddings. Lilianett Ramirez, whose husband Mario Gomez promised her a church wedding in the “Dear Lila” letter Pinera read on TV when the men were found alive, said they have now set a date: “If God and the Virgin desire it, we’ll get married on Nov. 7, his birthday,” she said, beaming as she left the hospital. The government promised six months of psychological treatment, made sure each has a bank account only he can operate, and coached them on dealing with rude questions. The rescue team even asked Guinness World Records to honor all 33 with the record for longest time trapped underground, rather than the last miner out, Luis Urzua. Guinness spokeswoman Jamie Panas said the organization was studying the question. The men certainly have an extraordinary story to tell. No one before them had been trapped so long and survived. Pinera also was defining face of the rescue, embracing Luis Urzua when he climbed out of the pod to become the 33rd miner out, then leading a joyous crowd in the national anthem. The billionaire businessman-turned-politician also promised “radical” changes and tougher safety laws to improve how businesses treat their workers. 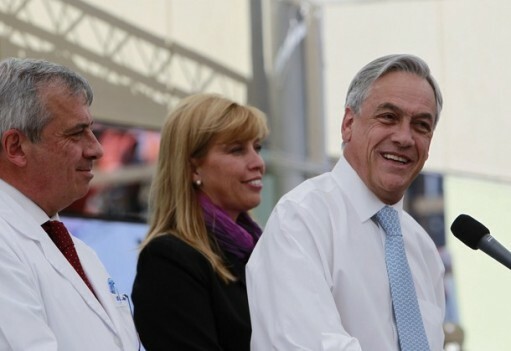 “Never again in our country will we permit people to work in conditions so unsafe and inhuman as they worked in the San Jose mine, and in many other places in our country,” said Pinera, who took office in March as Chile’s first elected right-wing president in a half-century. Among the most compelling stories from the ordeal will be Urzua’s. He was the shift foreman when 700,000 tons of rock sealed them in. It was his strict rationing of the 48-hour food supply that helped them stay alive until help came. Early reports on their food supply were based on memories and partial information from down below. Based on new details the miners shared Thursday with their families, the rationing appears to have been even more extreme than previously thought. “He told me they only had 10 cans of tuna to share, and water, but it isn’t true the thing about milk, because it was bad, out of date,” Alberto Sepulveda said after visiting his brother Dario. Other family members were told the tuna amounted to about half a capful from the top of a soda bottle — and that the only water they could drink tasted of oil. “I think he was a fundamental pillar that enabled them to keep discipline,” said Manuel Gonzalez, the first rescuer down and the last to leave. October 14, 2010 (KATAKAMI) — “Glorious”, “historic”, “heroic”: were among the words used by those watching in awe Wednesday as 33 miners trapped 700 metres underground in northern Chile were one by one lifted to the surface after more than two months. More than two-thirds of the 33 miners have been removed from the San Jose copper mine that collapsed and trapped them more than 700 metres below the surface Aug 5. They have been elevated in a capsule through a narrowly bored hole. 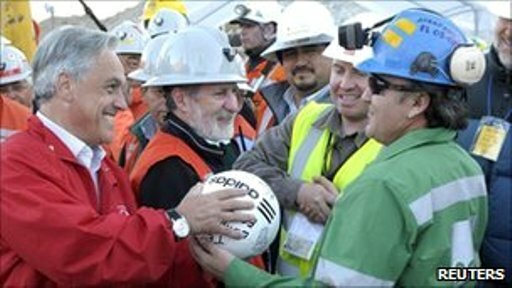 Chilean President Sebastian Pinera said the rescue might be completed later Wednesday. 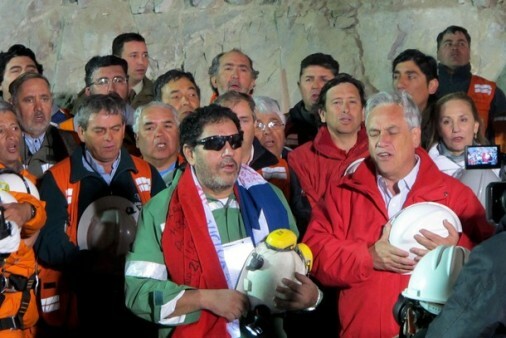 The health of the workers who have so far been rescued from the mine is “quite good”, Chilean Health Minister Jaime Manalich said. They have generally suffered increased heart rate and blood pressure, but doctors are not worried. The rescue operation took place in an atmosphere of euphoria, patriotism, religious fervour and optimism for the fate of the miners who are still trapped underground. 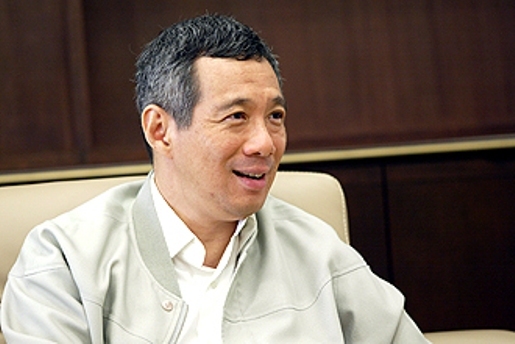 Tension virtually vanished after the first couple of miners were rescued. Pinera, who arrived at the mine Tuesday afternoon, stressed that he would stay at the site until the last of the miners is out. “It is a night that we are going to remember all our lives,” he said. Bolivian President Evo Morales was on site to meet with compatriot Carlos Mamani, 23, who was the only non-Chilean among the trapped miners. “This is a historic event. We Bolivian authorities are grateful for the effort that Chileans made,” Morales said. Morales offered Mamani a job and a home in Bolivia in case he wants to return to his native country, and said he was willing to take the miner home immediately if he wished to go. Mamani made it clear, however, that he wants to stay in Chile, at least for a few days. He plans to meet up with the other miners on the surface, once the ordeal is over for all of them. Television channels around the world were broadcasting the rescue live, and prominent world leaders were among those following closely. US President Barack Obama recounted the emergence of the first miner, Florencio Avalos, 31, and the subsequent reunification with his family early Wednesday. “The tears they shed after so much time apart expressed not only their own relief, not only their own joy, but the joy of people everywhere,” Obama told reporters at the White House. “The whole world is proud of what Chile is doing,” Brazilian President Luiz Inacio Lula da Silva told Pinera, according to his spokesman in Brasilia. Spain’s Deputy Prime Minister Maria Teresa Fernandez de la Vega described events in Chile as a “real heroic deed.” The rescue operation constituted “more evidence of how technology is in the service of humanity,” she said at a conference bringing together engineering and renewable energies experts. British Prime Minister David Cameron was also among those who congratulated Chile. “I’m sure everyone would like me to, on their behalf, send best wishes to the president and people of Chile as they celebrate the trapped miners coming to the surface and the glorious pictures we can see on our television screens,” Cameron said in Parliament. European Commission President Jose Manuel Barroso also expressed “great admiration” for the rescue. “The comradeship and the resilience of the miners, the thoughtfulness and efficiency of the operation and the solidarity of all concerned have already given to the world a message of hope and confidence,” Barroso said. NASA flight surgeon James Polk, however, was more cautious: medical and engineering problems could still arise. “It’s not unlike a football game, we are at half time right now and you don’t want to let your guard down,” he said in an interview with CNN. Still, Polk, who consulted with Chilean officials as part of the NASA team that provided advice about spending months in confined spaces, also poured praise on Chilean authorities. In this photo released by the Government of Chile, miner Omar Reygadas Rojas, holds a Bible after being rescued from the collapsed San Jose gold and copper mine, near Copiapo, Chile, Wednesday, Oct. 13, 2010. Reygadas was the seventeenth of 33 miners rescued from the mine after more than 2 months trapped underground. In this photo released by the Government of Chile, miner Daniel Herrera Campos embraces his mother after being rescued from the collapsed San Jose gold and copper mine, near Copiapo, Chile, Wednesday, Oct. 13, 2010. Herrera was the sixteenth of 33 miners rescued from the mine after more than 2 months trapped underground. In this photo released by the Chilean presidential press office, Chiles President Sebastian Pinera, back, greets miner Victor Zamora Bugueno after his rescue from the collapsed San Jose gold and copper mine, near Copiapo, Chile, Wednesday, Oct. 13, 2010. In this photo released by the Chilean government, miner Carlos Barrios waves to the crowd while emerging from the capsule that brought him to the surface from the collapsed San Jose gold and copper mine near Copiapo, Chile, Wednesday, Oct. 13, 2010. Barrios is the thirteenth of 33 miners who was rescued after more than 2 months trapped underground. In this photo released by the Chilean government, Edison Pena, gestures as he is carried on a stretcher after being rescued at the San Jose mine, near Copiapo, Chile, Wednesday, Oct. 13, 2010. Pena was the twelfth of 33 miners rescued from the San Jose mine after more than 2 months trapped underground. In this photo released by the Chilean government, miner Alex Vega gestures after being rescued from the collapsed San Jose gold and copper mine where he had been trapped with 32 other miners for over two months near Copiapo, Chile, Wednesday Oct. 13, 2010. Roxana Gomez, left, daughter of miner Mario Gomez, is comforted by Maria Segovia, sister of trapped miner Dario Segovia, as they watch on TV Gomezs rescue from the collapsed San Jose mine at the camp outside the mine near Copiapo, Chile, Wednesday Oct. 13, 2010. Thirty-three miners became trapped when the gold and copper mine collapsed on Aug. 5. In this photo released by the Chilean government, miner Claudio Yanez applauds as he is carried away in a stretcher after being rescued from the collapsed San Jose gold and copper mine where he had been trapped with 32 other miners for over two months near Copiapo, Chile, early Wed Oct. 13, 2010. In this photo released by the Chilean government, miner Florencio Avalos, second left, hugs a relative after he was rescued from the collapsed San Jose gold and copper mine where he was trapped with 32 other miners for over two months near Copiapo, Chile, early Wed, Oct. 13, 2010. Alfonso Avalos (right) father of Chilean miner Florencio Avalos and Wilson Avalos brother of Florencio embrace each other after Florencio was brought to the surface from the collapsed San Jose mine, near Copiapo. 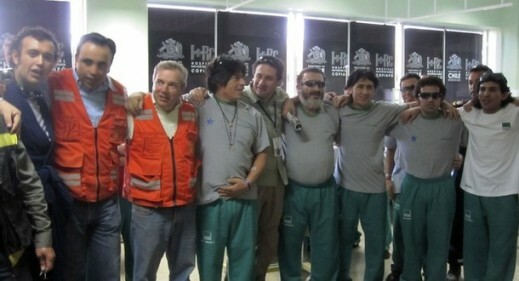 Rescue workers in Chile by had lifted to safety nearly a third of the 33 miners trapped deep underground, in an historic and complex operation carried off without a hitch.